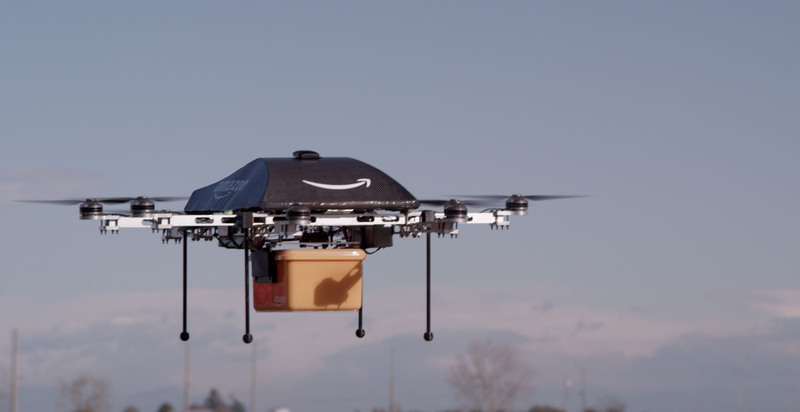 Last mile deliveries via drones will come sooner than most of us suspect. Until a little while ago, I suspected drone deliveries will only become a reality far into the future (10+ years). But recently a few new developments changed this perspective. First, never underestimate the accelerating progress of technology. Second, the technology is, as many experts will tell you, already available more or less. (The technology needs to meet safety measures set by regulators, and most drones may not do that yet.) The speed at which drone deliveries at scale will appear hinges mainly on regulatory approvals. Those will take time, but the race is on. I was first clued in to the importance of Amazon’s drone initiative, called Amazon Prime Air, when I met Gur Kimchi, the head of the program, at an industry conference a few months ago. Though our conversation was off the record, Mr. Kimchi’s detailed answers to my questions suggested I had been too quick to dismiss the initiative. When I began talking to others in the drone industry about Amazon’s interest in autonomous flight, they all pointed out that drones offer a way to leapfrog roads. Because they operate in a new, untrammeled layer of physical space — below 400 feet, an airspace that is currently unoccupied in most of the country — they open up a vast new shipping lane. Beyond posting several videos, Amazon has not revealed much publicly about its drone program, but it has been working with regulators worldwide to set up tests of the system. It envisions drones being able to deliver packages up to five pounds in weight, which account for 80 to 90 percent of its deliveries. according to Amazon, the earliest incarnation of drone deliveries will happen much sooner — we will see it within five years, somewhere in the world. “The UK is a leader in enabling drone innovation – we’ve been investing in Prime Air research and development here for quite some time,” said Paul Misener, Amazon’s Vice President of Global Innovation Policy and Communications. The U.S. National Science Foundation will spend $35 million over the next five years on unmanned flight research and the Department of Interior plans to expand its use of drone flights, according to an e-mailed release Tuesday from the White House Office of Science and Technology Policy. That is not an overstatement in my eyes. Though how exactly this will manifest remains to be seen. We’ll learn soon enough. Nice article; I think the main additional barrier beyond technological and regulatory barriers will be public acceptance. Technological and regulatory issues can be relatively easy to overcome. Public acceptance may be more tricky. But, if companies like Matternet focus on critical and ‘life-saving’ use cases for urban drone deliveries which offer an improvement to the current transportation infrastructure, it will be easier for public acceptance of package delivery at scale. Focus on use cases that make sense today and provide an improvement to society while the technology matures and the regulation and public acceptance will fall into place.